Card size 6? x 4? 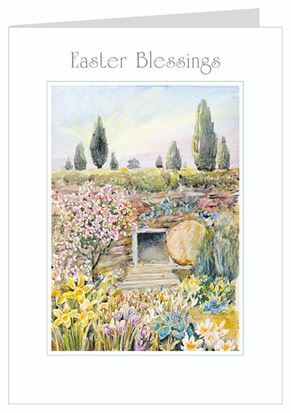 Easter Blessings Card - Pack of 5 was published by Teal Press in January 2017 and is our 1402nd best seller. The ISBN for Easter Blessings Card - Pack of 5 is 5060069270368. Perfect Cards, Great Info on card mentioned! These cards are beautiful, they are always a favourite every Easter and we've bought them for the last few years now. We also buy the same design of cards but with different pictures and they are also a huge hit. Really do love these cards, I recommend them highly. As I write this review they are currently no longer available, something to do with the manufacturer and all I can say is I hope they bring them back as they are the best!